My husband loves to get kisses from his children. He gets way more kisses than I do. I think it's because he plays hard to get. 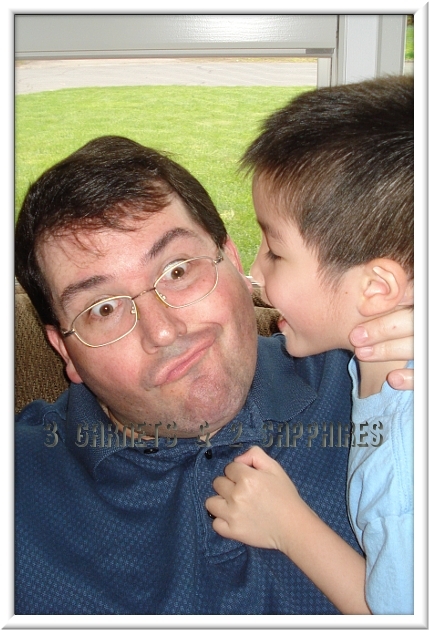 And when he does finally let the children plant kisses on him, he acts all silly and goofy. The children just love it. Well, a month or so ago, my husband caught an extremely bad cold. He was coughing and wheezing. You would think this would keep him from kissing the children good night for just a little while, but it did not. Eventually, our 5 year old daughter caught a cold as well. Thankfully, her cough was not as severe as her Dad's. In fact, she got over her cold before my husband got over his. 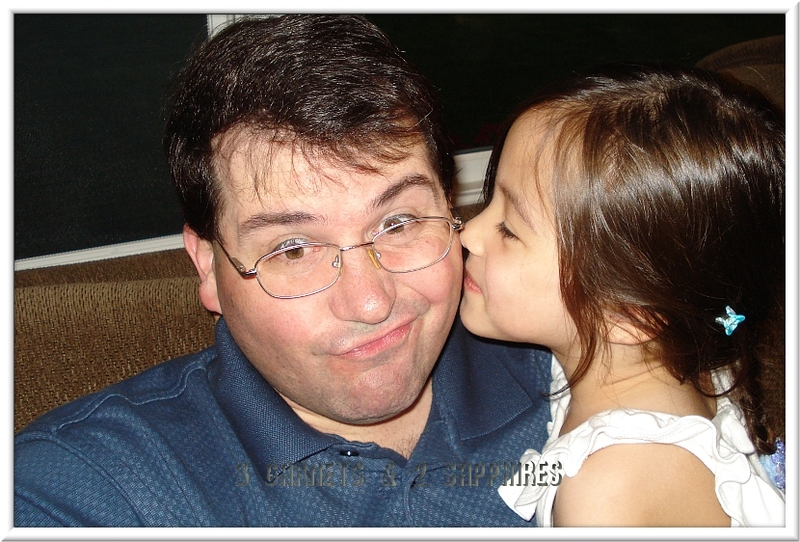 In order to avoid getting sick again, she was no longer giving kisses or accepting kisses from her Dad. 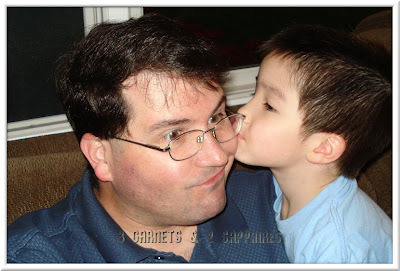 After my husband finally got better, he realized quickly that our daughter still would not give him kisses. It seems as if she was well on her way to becoming a germaphobe. 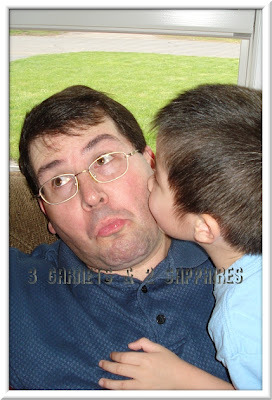 At first it seemed like a game, but then we soon realized that she was not going to give her Dad the kisses on the cheek that he cherished so much. He acted like she was hurting his feelings to get her to change her mind (although I think his feelings were really a bit hurt). No amount of reasoning from either of us seemed to work, so he stopped asking her for kisses one day. A couple of weeks later, after no mention of kisses were made for a very long time, she planted one on her Dad's cheek. I guess pretending to be uninterested and playing hard to get works! 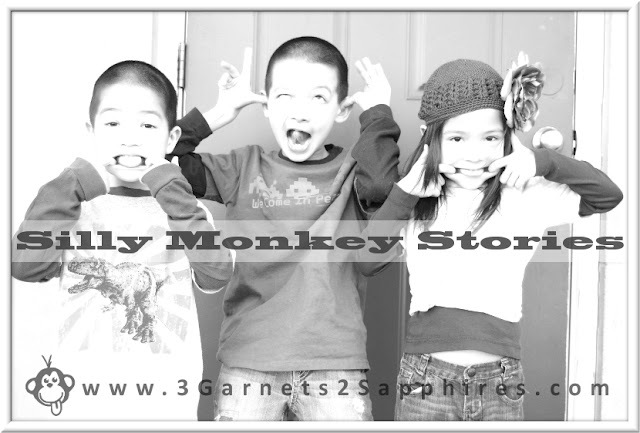 Click here to read all our Silly Monkey Stories!